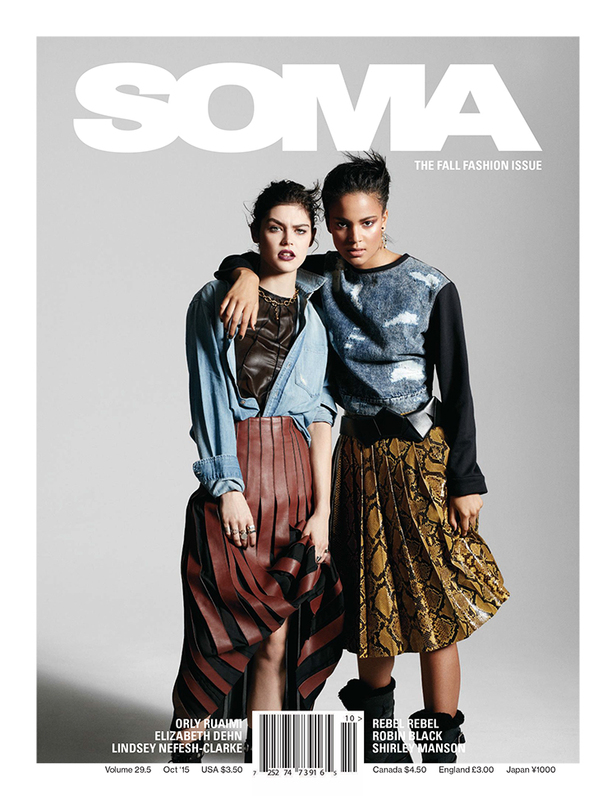 Hailed internationally as the seminal voice and vision of independent, avant-garde arts, fashion, culture and design for 27 years, SOMA Magazine has cultivated immense organic appeal and forged its place within the thriving creative industries and communities the world over. The most talented, provocative and revered photographers, fashion designers, graphic designers, architects, actors, models, musicians, screenwriters, and filmmakers are among SOMA’s vast and varied captive audience of trend setting creative professionals, to whom SOMA, in its very essence, is always attuned and inextricably tied. As one of the few successful surviving independent arts culture magazines, SOMA’s iconic status and credibility with this demographic makes it uniquely qualified to bring them together the most spectacular, groundbreaking creative industry figures, alongside the many seeking to become the world’s next design icon.